The ancient parish of Yspyty Ifan comprises the township of Tir Eidda (in Caernarfonshire); Tir Ifan, Trebrys and Prys Ucha (in Denbighshire); and Gwernihowell (in Merionethshire) which was transferred from the parish of Corwen (in Merionethshire) during the late nineteenth century. There has been a church on the same site since the 12th Century, when a hospice was established by the Knights of St. John of Jerusalem. The church was partly rebuilt in 1790/1791. It was taken down in 1858, and the present church was opened in 1861. 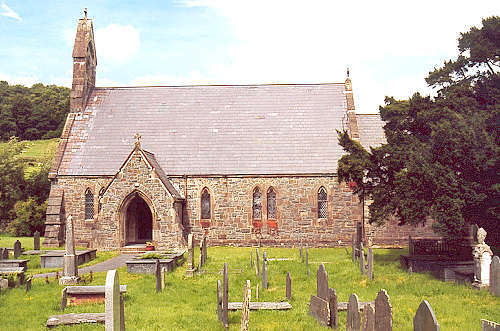 For family history information about the church and parish, visit the GENUKI Ysbyty Ifan page.